Back in March I published my first instructable called Programmable LED. The idea was simple, have a device that is able to record and play back light sequences. 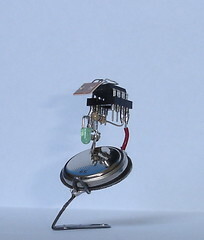 Light sequences are recorded with an LDR, a light dependent resistor and played back with an LED. After a while some users at Instructables began to rebuild, modify and improve the Programmable LED. Ok, that’s what Instructables is all about, to share and to distribute, but it was astonishing to me, how it worked. This is a gallery of these derived and improved versions. Kudos to all the builders. zzag did a great job with his version. Looks a bit steampunky to me. Very nice. Gary added a method to calibrate the LDR sensor, thanks for that. Visit the comments for more images. 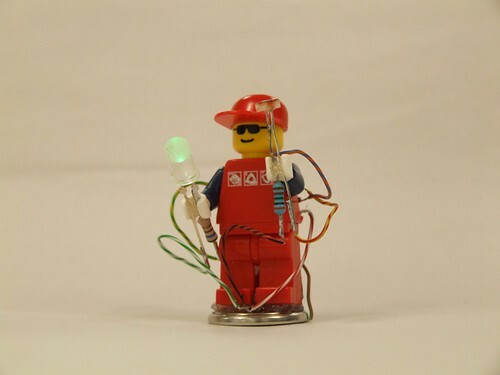 Tristan made wearable computing for LEGO people. What a fantastic idea. He modified the source to record longer sequences. Thanks. For more information visit his blog post about wearable computing or his Flickr set. He even did a video. Sam (samirsky) did this mod to his Mini Robsapien. Great! Dave was the first who built his version and posted pictures. And he found some bugs in the instructable, thanks for that. The second version uses the button cell as a mirror. And here are his blog posts. Dr. Skippy ported the version from AVR to PIC microcontroller and used a SMT version. Really small. Really nifty. Visit his blog for more details and source code. And don’t miss his complete doc as PDF. Tod took the idea of a programmable LED to a new level. He sees them as Smart LED Prototypes, which means, you can add sensors and controllers and combine them into a single unit. This unit could then be programmed to e.g. light up in green when temperature is above 30Â°C. Wow. Tod has also done two versions as PCBs. They look very promissing. 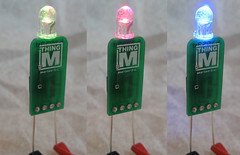 Tod and ThingM are planning to have them in production and at Sparkfun within a month. A good writeup of the smart LED idea is in his slides for the sketching07. So this was my first version. If you did a Programmable LED yourself, than let me know. I would be glad to add your pictures and links. 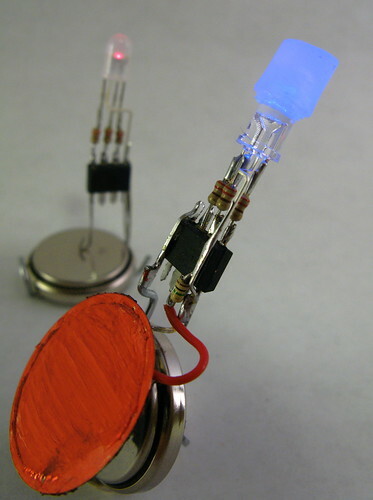 Programmable LED at Instructables, more detailed. 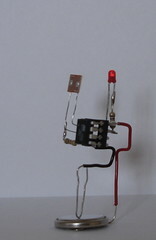 This entry was posted in avr, instructable, led by alex. Bookmark the permalink. thanks for the link. I tried to leave you a comment but the movable type login drove me crazy. Very nice work and cool idea for the interaction. I am waiting for the video. huhuhuhu, funny tiny LED at button battery !. soo creative creatures. 3V electronic toy.